Which current Bears free agents will be back? BEARS WIN BEARS WIN! Christmas Miracle! Bulls struggling to find their identity. White Sox silently making moves. And the Blackhawks still showing inconsistencies. All of this and more on this episode of Bill Swerski's Sports Talk Chicago. The dreaded day is upon us. The Bears are eliminated from the playoffs. So we borrow a page from the Chicago Cubs book and say “next year”. But who on this 2015 Bears squad has earned the right for a new contract with the Bears and what are the chances we see them back next year. We go through and give them a rank of 5 of if they earned a new deal and if the Bears will bring them back. 1 means the player is already out the door and 5 means they are a stone-cold lock to bring back. Sam Acho, OLB (3/5): At times, Sam Acho looked like the 2nd best player on the defense for the Bears. Other times, he was invisible. He made league veteran minimum in 2015. So he is a low risk move for the Bears. I think a difference making edge rusher is the Bears #1 priority, so if they bring back Acho, it is for a 1 year deal and he loses a lot of reps.
Chris Prosinkis, S (2/5): He is a tackle-missing machine. Whether its on special teams or defense, Prosinski is known for his missed tackles. Sure, he caused the fumble against the Packers, but does that make up for all the big gains he’s allowed with missed tackles? There is a slim chance he comes back as a special teamer and because he knows Fangio’s defense in a pinch. But if he starts again next year, this defense will continue to struggle. Alan Ball, CB (1/5): Ball was thrust into a starting role in the beginning of the year, replacing Tim Jennings. But he quickly fell out of favor with bad play and missed assignments. Things have not gotten better for Ball. The Bears seem more than ok with Fuller, Porter, and Callahan (well enough to dump Ball). I don’t see much of a chance for him to come back. Ryan Mundy, S (1/5): Mundy was slated to be the starting safety along side his former teammate Antrel Rolle. But father time and the injury bug bit both players. I honestly thought Mundy would have been decent for the Bears this year. But coming off a serious injury, being an Emery free agent, and the rise of Adrian Amos, I don’t see much chance of Mundy’s return next year. Sherrick McManis, CB (1/5): McManis started the season as the Bears nickel corner. In previous years, he has played decently in spot roles. But this season, he has been absolutely horrible. I am beyond shocked he wasn’t cut mid-season. As with Ball, with the rise of Porter, Fuller, and Callahan as their top 3 corners, I think they part ways with McManis and try to develop young corners. Jarvis Jenkins, 34DE (4/5): When the Bears brought Jenkins in, I thought it was only for depth and because he had experience playing this position. But he quickly won the starting role and has been a pleasant surprise ever since. In 2015, he only make $750,000. I look for the bears to sign him for another 1 year deal for about double the money. Even if they draft another DE, having Jenkins play backup reps still makes the Bears defense better. Shea McClellin, ILB (3/5): I was torn on my grade here. On the one hand, you’ve paid this guy millions of dollars to be a wasted first round pick. Plus he is another Phil Emery guy, and we all know what Ryan Pace thinks of Phil Emery signees and draft picks. With that in mind, I think he’s 100% gone. On the flip side, Vic Fangio likes him. He has done a good job of calling plays. He’s gotten better as an ILB during the year. But still, you need an impact player at your ILB spot to be a great defense and I don’t think Shea can be that. With that in mind, if they can sign him for a team-friendly deal, I think he’s liked enough by the coaching staff to be brought back for a backup role (and spot starter during injury), but he can’t be brought back to be a starter on this team. Tracy Porter, CB (5/5): Porter was a journeyman corner in this league and he really found his calling under this Vic Fangio defense. At best this season, he was a legit shutdown corner. At worst, he was still an average to above average corner. Either way, he was the best corner on this team. Barring some team throwing him a ridiculous offer, I don’t see any way he is not brought back. He made less than $1M last year. I think the Bears re-sign him for 3 years for roughly $2.5-3M per season. 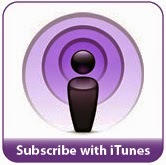 Marc Mariani, WR/PR (2/5): If you listen to the show, you know I rail on Mariani a lot as a KR/PR. And rightfully so. He lacks the speed to scare the other team and he’s had enough trouble catching the ball that I would replace him in a heartbeat as the returner (already lost his job to a superior KR in Thompson). But with I injuries piling up at the receiver position for the Bears, Mariani stepped up as a slot receiver. At times he really impressed me. Sure, he was no Wes Welker, but he got open and he caught the ball and he took the hit. With that in mind, I wouldn’t be shocked if the Bears brought him back on a veteran minimum deal and let him compete in training camp for a spot. But if the Bears bring back Alshon and Wilson, is there room for Mariani? Jacquizz Rodgers, RB (2/5): Rodgers was going to be an important piece for the Bears offense this year. He was going to be a change of pace from Forte and a bridge to Jeremy Langford. But injury altered that a lot. With the emergence of Jeremy Langford as a legit starting running back, Rodgers need is brought into question. If you bring Forte back, it’s a pretty crowded backfield with Forte, Langford, Carey, and Perry. If you decide not to bring back Matt Forte, it’s still going to be a crowded backfield. I think if Forte returns, you will not see Rodgers offered a deal. If Forte leaves, I think there is a 50% chance you see Rodgers come back and offered a chance to win a job during training camp. Josh Bellamy, WR (2/5): Josh Bellamy is a guy that tests whether you’re thinking with your head or your heart. He played well on special teams and whenever he was asked to fill a WR role on this team, he played hard. We’re Chicago fans. We love try-hard guys more than anyone. Remember Chris Zorich? Tommy Waddle? If the Bears keep Alshon and bring back Wilson (and everyone is healthy), this is a pretty crowded WR group. Kevin White, Alshon, Royal, Wilson and you have young Cam Meredith under contract. Maybe they bring him back and let him compete for that 6th WR spot. But I doubt they bring back both Bellamy and Mariani. Patrick Omameh, G (4/5): Patrick Omameh has filled in really well and certainly won the right guard spot vacated when Kyle Long moved to right tackle. Is he a stud? Obviously not. Did he do well enough? Absolutely. If the Bears move into 2016 with the same starting 5 offensive linemen, they will be OK. Is there room for improvement? Absolutely. But o-line is not the most pressing need for this team. You’ve already invested time and a 3rd round draft pick on Grasu, Long is a pro bowler, and Slauson is your best o-lineman. So if the Bears do address the o-line in the draft or free agency, it will be either right guard (Omameh) or left tackle (Leno). Pro Football Focus, in multiple games, has graded Omameh as the best o-lineman for that particular game. So I’m hard pressed to think the Bears will be eager to move away from Omameh. So there is a really good chance they try to lock him up or at least tender him as a restricted free agent. Marquess Wilson, WR (3/5): Just as with Josh Bellamy, it’s hard for me to objectively look at Marquess Wilson. 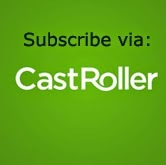 I think he has a world of talent and it’s been bad luck that has prevented him from showcasing it. Does that mean I think he’s a #1 in this league? Oh hell no. Not even a #2. But if you bring him back on a low deal and he’s your #4 behind White, Alshon, and Royal (all healthy), then he could really be an impact player. The issue has been he has been injured a lot. And this year, he was forced to be a #2 because of so many WR injuries for the Bears. Assuming they bring everyone back and health issues are resolved, he could be an x-factor for the Bears. Zach Miller, TE (5/5): Barring some team throwing him stupid money, there is no way he doesn’t return. 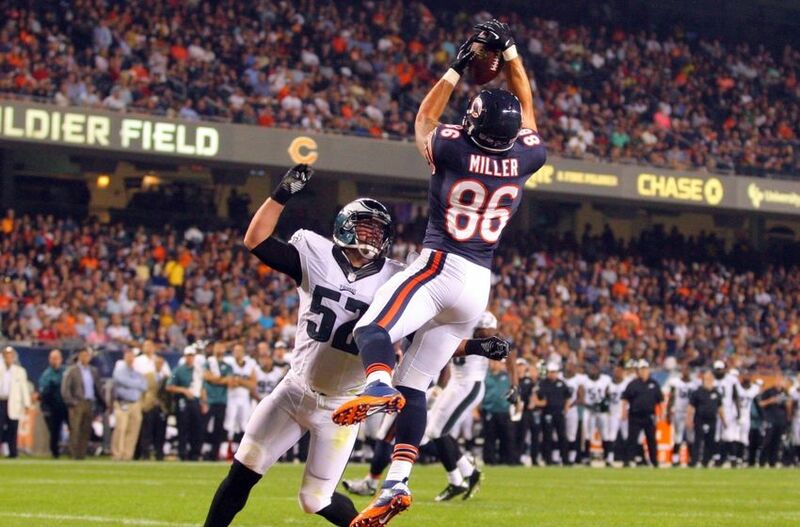 Even with a healthy Martellus Bennett, Zach Miller is the Bears most dynamic pass-catching TE. Sure, the Black Unicorn is a bigger target and stronger and harder to bring down and blocks better. But Miller is too big for a corner and way too fast for most linebackers. He’s a matchup problem. He’s a really poor man’s Gronk. While Marty Bennett is a headache for Pace and Fox and Gase, Miller is a great teammate. Considering I don’t think Bennett returns for the Bears, Miller will be brought back. Alshon Jeffery, WR (5/5): You watch the games. You see the difference in what the offense looks like with Alshon and without Alshon. Even when he’s at 70%, he changes the way the Bears play. I think Kevin White will be an absolute special WR, but you are silly if you don’t bring back Alshon to be complimentary to White. If the Bears can’t agree on a long term deal, they will franchise tag him. One way or another, Alshon will be a Bear next year. Matt Forte, RB (3/5): This was by far the toughest evaluation. If you look at sheer production and what he means to this team, as a player, as a leader, as a good man…you 100% bring him back. BUT. That is a big but, he was easily one of the highest paid running backs in the league (#6 to be exact with $7.6M per year). If you look at running back numbers, there are a handful of guys that get paid and a lot of guys not. Out of the 146 running backs in the NFL, only 9 make more than $4M per year. If you add the salary of the Bears other 2 running backs (Carey and Langford), Forte makes over 5.5 times their combined salary this year. So do you want to bring him back? Of course you do. But it’s ultimately going to come down to a number that makes sense. You can’t pay Forte nearly $8M next year. I think $4.1M is a number that keeps him in the top 10 salaries at RB and is still affordable with what you’re trying to do with the salary cap. If you are the Bears, you have to tread lightly here. As much as being a Bear means to Forte, being paid and respected are more important. The franchise and transition tags aren’t really viable here (A) because you likely use the franchise tag on Alshon, and B) the franchise and transition tags are around $11M and $9M for 2016). 2016 is going to be an interesting year for the Chicago Bears with a lot of new faces and a lot of decisions to be made. We shall see where Ryan Pace takes us. But based on the improvement of attitude and play from 2014, I think the arrow is pointing way up. Our Chicago Bears are stumbling mightily at the end of the season, falling to the Vikings. The Chicago Bulls train has completely derailed with humiliating losses to Detroit and Brooklyn. But the Blackhawks have started to figure things out and are in cruise control. All of this and more on this episode of Bill Swerski's Sports Talk Chicago. Bears give another home game away and another crucial Robbie Gould missed field goal in the loss to the Washington Redskins. But the Cubs are making a splash and trying to turn their cinderella season in a juggernaut season with their recent moves. All of this and more on this episode of Bill Swerski's Sports Talk Chicago. Podcast: Bears suffer tough loss to 49ers, Bulls falling apart, Kane is en fuego! The Bears and Bulls are celebrating Christmas early by giving away games. Meanwhile, a red-hot Patrick Kane is carrying the Blackhawks all by himself. 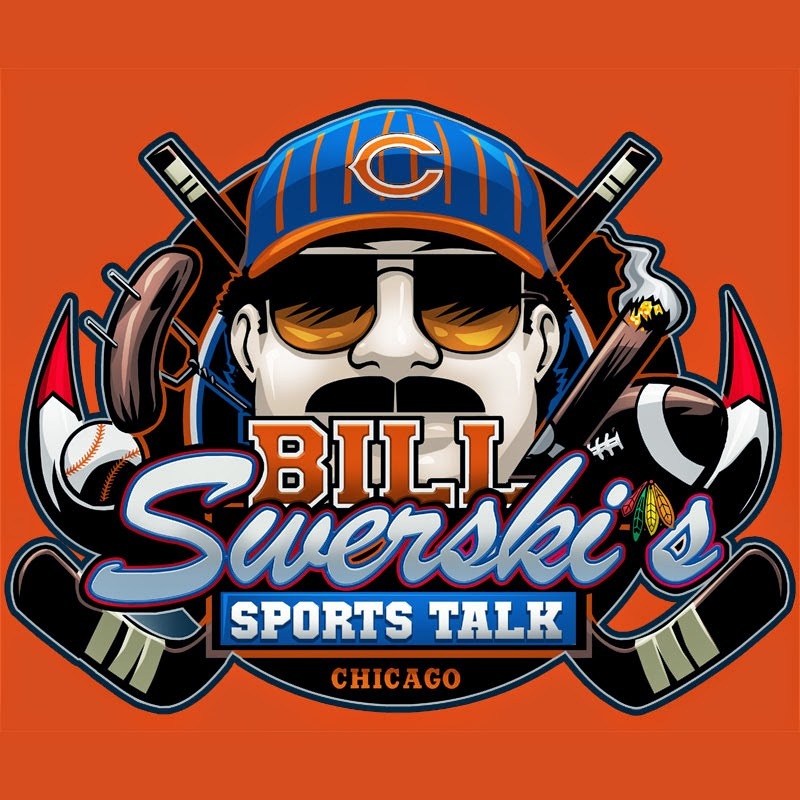 All of this and more on this episode of Bill Swerski's Sports Talk Chicago.